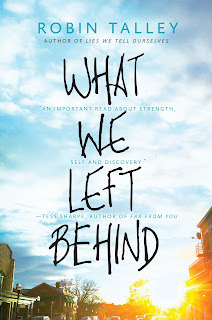 Welcome to Day #6 of the What We Left Behind Blog Tour! 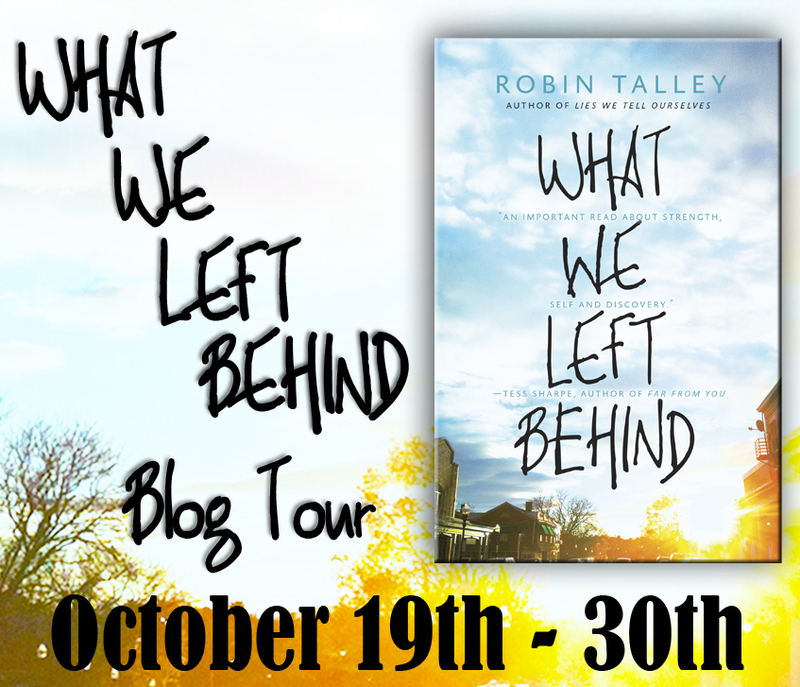 To celebrate the release of What We Left Behind by Robin Talley (10/27/15 - tomorrow! 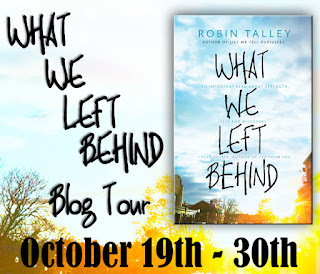 ), blogs across the web are featuring exclusive content from Robin, as well as 10 chances to win a copy of What We Left Behind or a 7-book LGBT YA Prize Pack chosen by Robin herself in the Grand Prize Giveaway! There are TWO separate places to enter below. 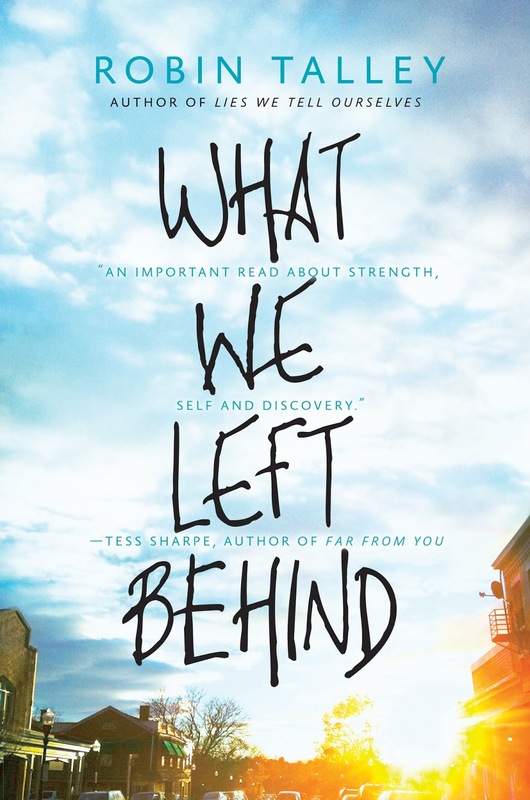 The first chapter of What We Left Behind is very, very different from how I first wrote it. When I was revising my early drafts, I wound up changing where the story begins. As a result, I had to scrap this scene, which was too bad because I really liked it. The deleted excerpt below was the original beginning to the story. 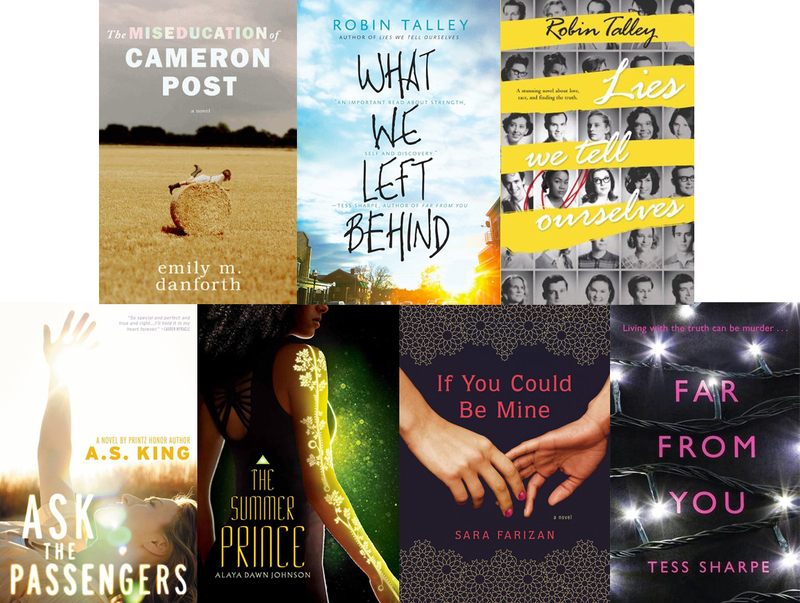 In this scene the main characters, Toni and Gretchen, are shopping at Target the day before they leave for college ― when these two high school sweethearts will be separated for the first time. The story alternates between both characters’ points of view. This scene is from Toni’s. What did people wear in Massachusetts, anyway? It was cold up there. Maybe I should just buy fleece. But it was August. There was no fleece to be found in the Target men’s department. I should’ve walked away then and there. But something in me felt like fighting it this time. “I want to try these on,” I said, holding up the pants. I knew that. I’d passed it when I’d first come in with my girlfriend, Gretchen. It had been packed with a group of middle schoolers shopping for bikinis for a Labor Day pool party. We’d heard them shouting about it from the baked goods aisle. There was no one in the men’s dressing room. It was the middle of a weekday. No one except me was shopping for chinos. There was absolutely no one for me to disturb. Except Marjorie. And The Rules. My heart sped up. I might’ve kept going. Might’ve yelled at Marjorie. Might’ve even managed to get myself kicked out of the store. But then I felt a hand on my arm, and my whole body relaxed. Gretchen was back. I wrapped my free arm around Gretchen’s waist and kissed Gretchen with a loud smack. We both giggled. I hung the pants I’d been holding on the nearest rack (which was definitely not where they were supposed to go, ha, take that, Marjorie). Then I took Gretchen’s shopping cart and steered it toward Health & Beauty. Gretchen handed me the shopping list, which was about a foot longer than my own had been. I found Gretchen’s brand (Burt’s Bees Super Shiny Grapefruit) on the next row and dropped two bottles into the cart. “Ha, ha,” I said. But I blushed. Gretchen turned around, face falling. And right away, I felt bad. I hated making Gretchen look like that. Stop by Ravenous Reader tomorrow for Day #7 of the tour!